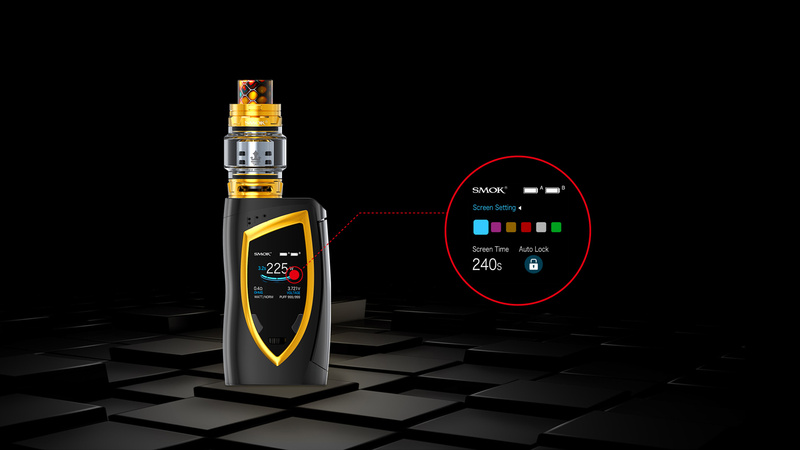 The box mod has Blade shape with Cutting edge features with a super output of 225 W and 8ml larger capacity of TFV12 Prince tank to provide a surplus of bubbling and eruptive clouds for an amazing long vaping experience. 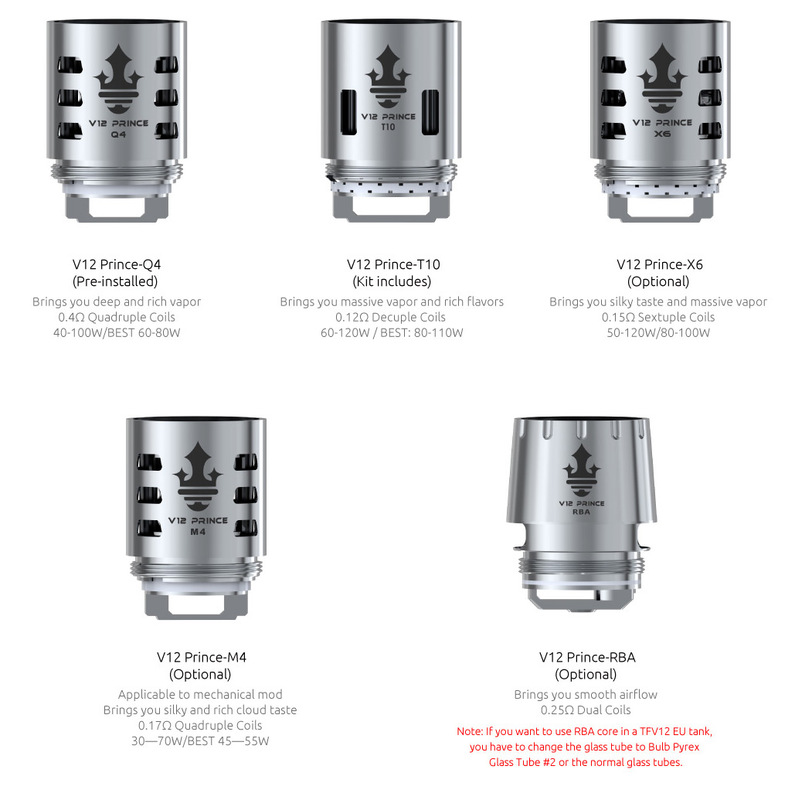 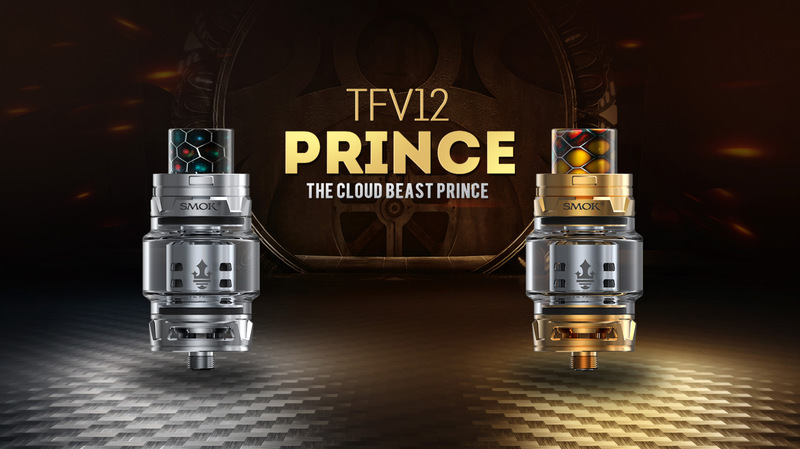 The TFV12 Prince Tank adopts convex glass tube shape features top-filling design and adjustable airflow system quip with V12 Prince coils for huge vapors. 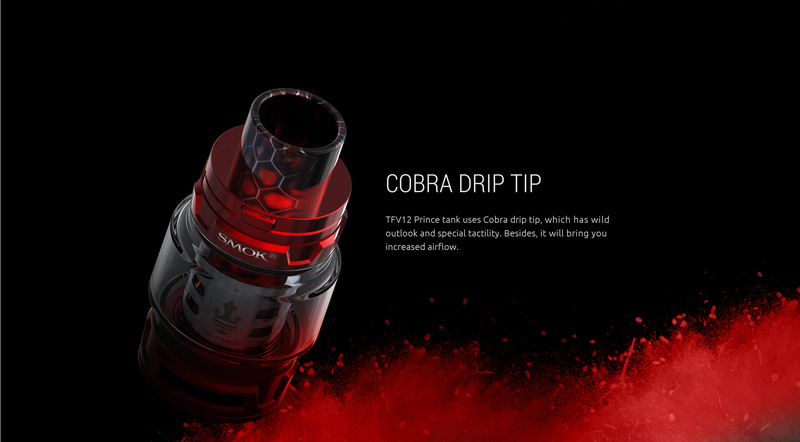 Innovative design of Snake pattern on the back side is in harmony with the cobra drip tip along with fire key adds appealing look which symbolises the incarnation to courage and justice Devilkin has upgraded user interface and 1.3-inch screen with high-definition displays more clear and specific data such as VW/TC (Ti, Ni, SS)), Memory mode, vaping effect, voltage, battery life, resistance value etc. 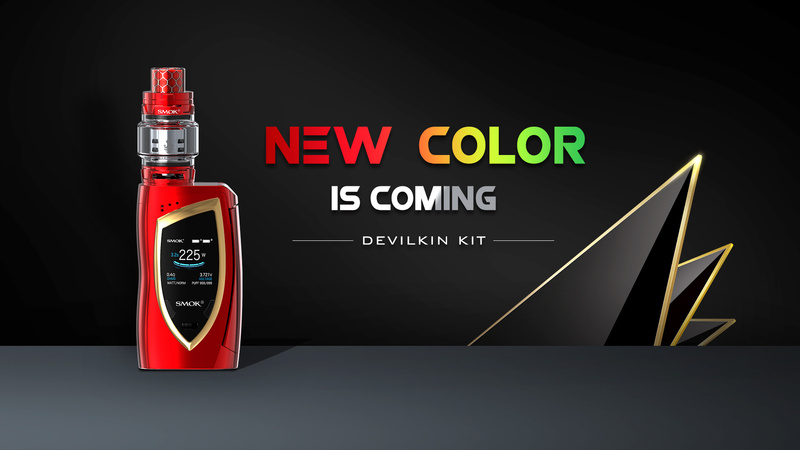 Devilkin Kit offers 12 colors (: Black Red, Black Prism, Black and Prism Gold, Black and Prism Chrome, Black and Prism Blue, Black and Prism Gun Metal) choices for a supreme glory. 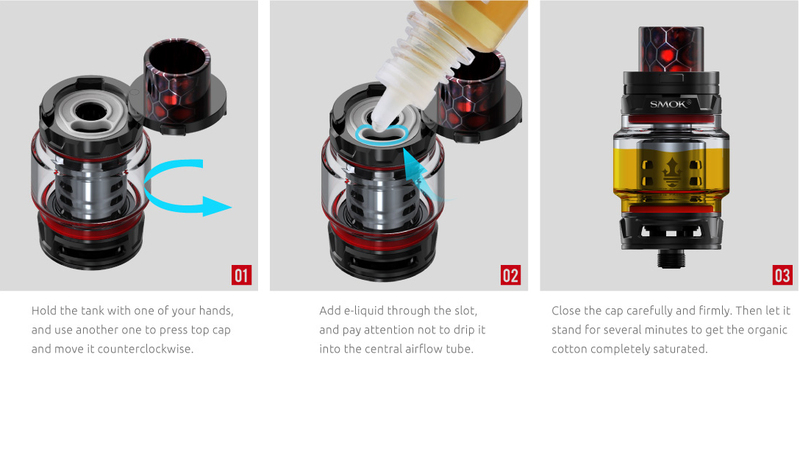 Easy to hold and convenient to operate. 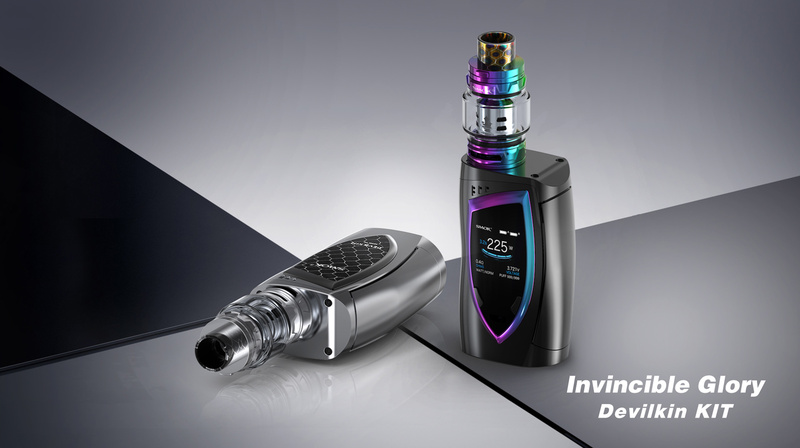 Blade shaped areas on the front and back sides of Devilkin exude a supreme glory. 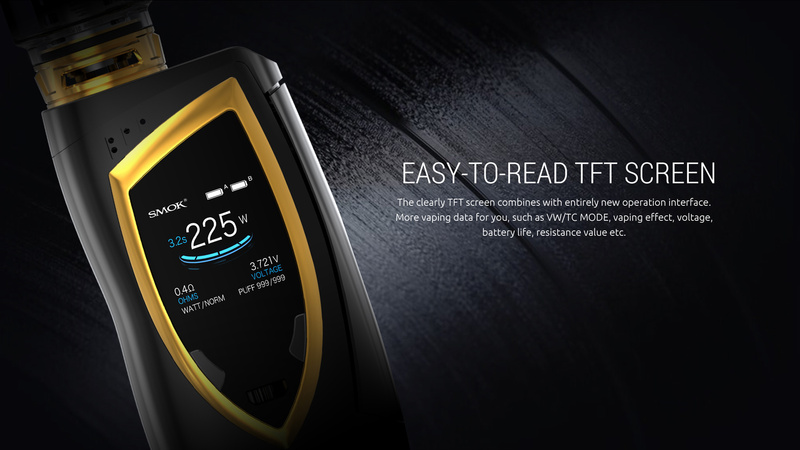 The front “blade” functional area consists of TFT color screen and UP/Down button, which is more convenient to operate. 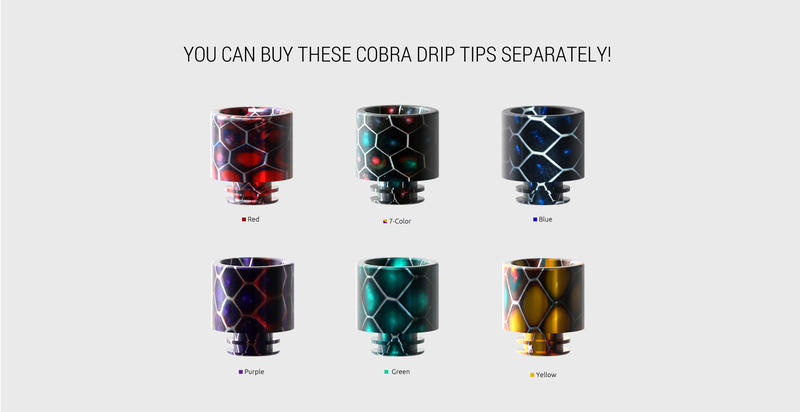 The back “blade” snake pattern area will activate your vaping passion deep inside. 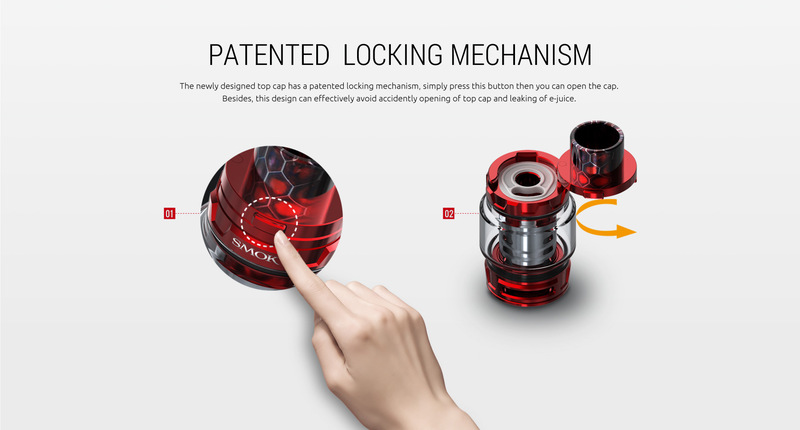 and greatly improves the grasp comfort level. 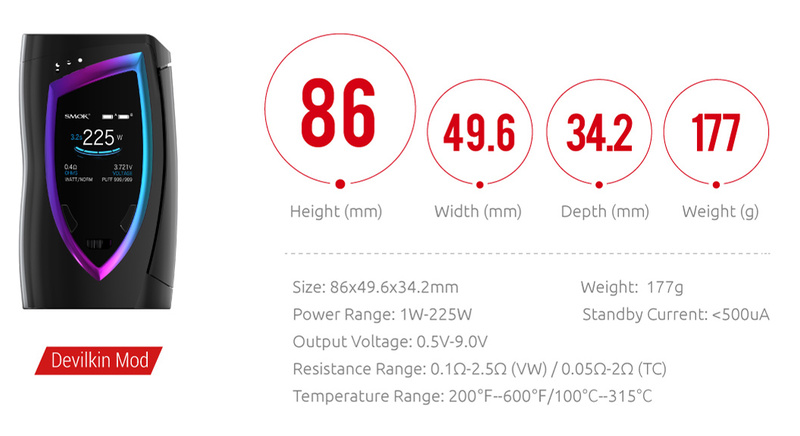 Its max output power can be up to 225W. 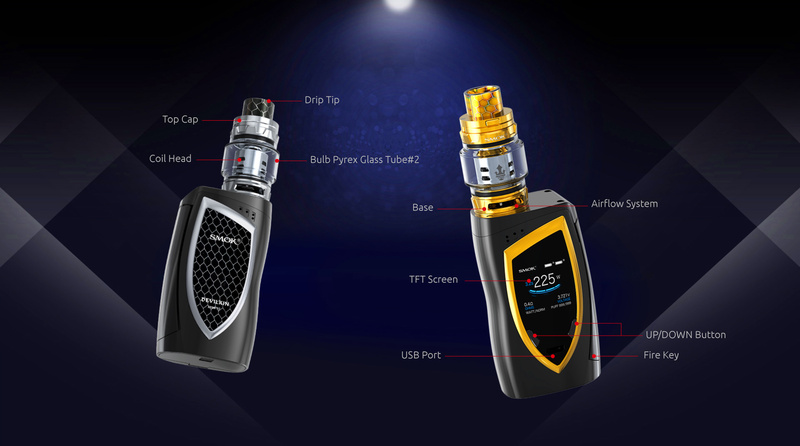 You can enjoy 225W high wattage that powered by 2 x 18650 battery. 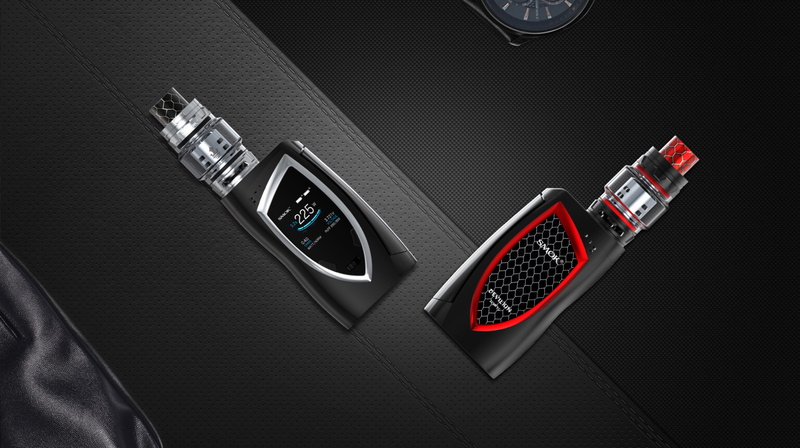 Higher power output and massive clouds for you. 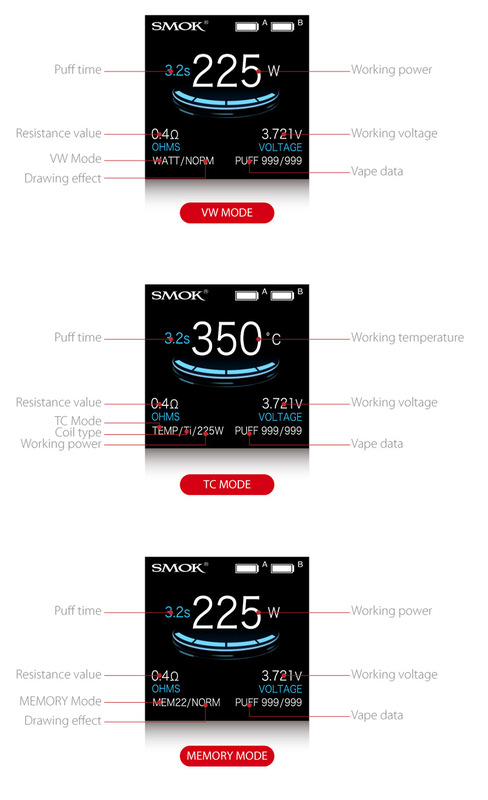 Entirely new and upgraded UI provides you more direct and detailed vaping data. 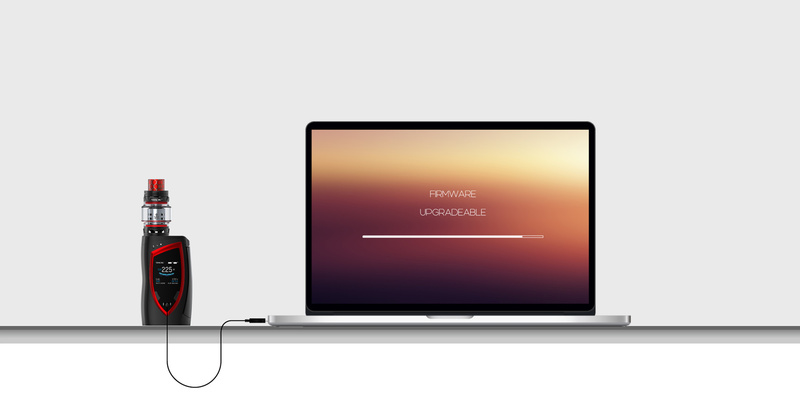 And there are six colors available for screen setting. 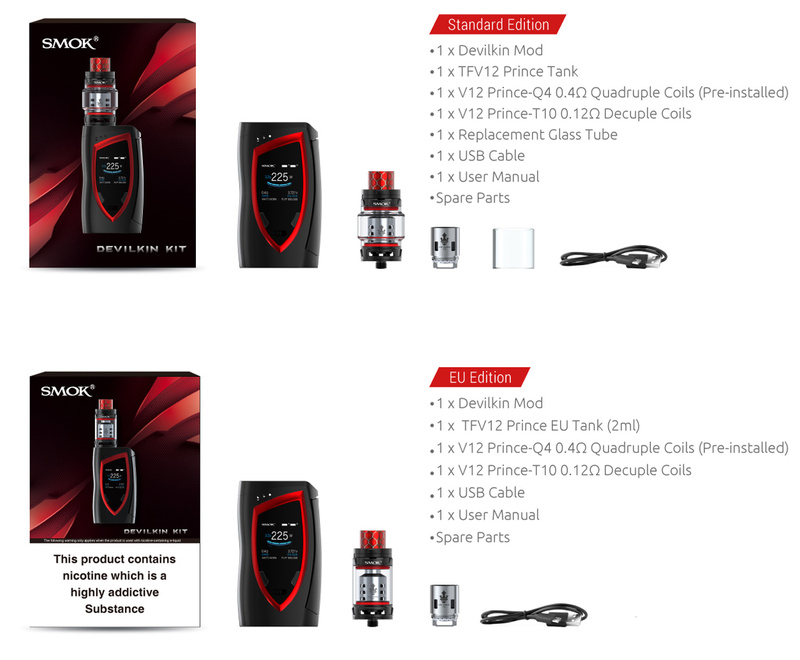 Devilkin kit is powered by two 18650 batteries in series. 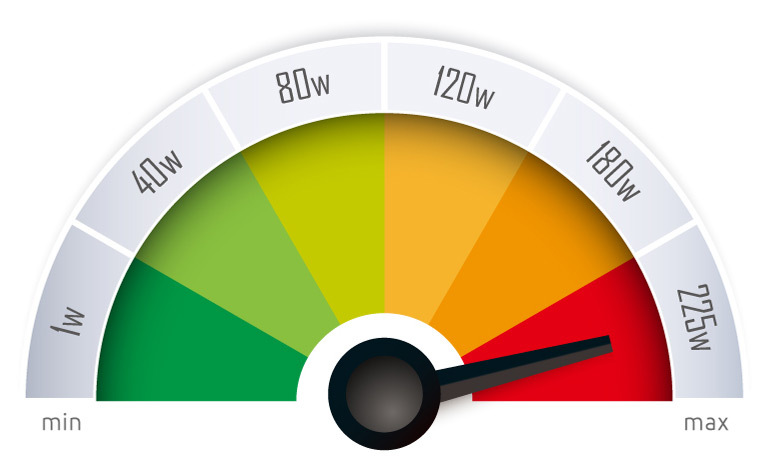 The dual battery life indicator on the screen is more accurate for you to read. 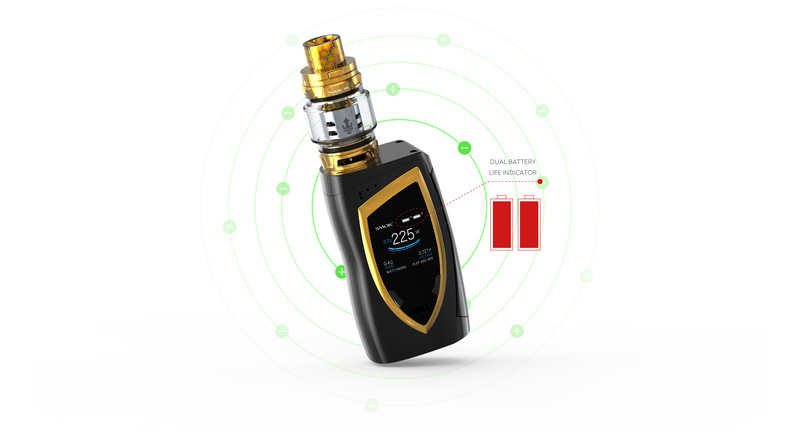 Devilkin supports firmware upgrading, you can use the included USB port to upgrade it. 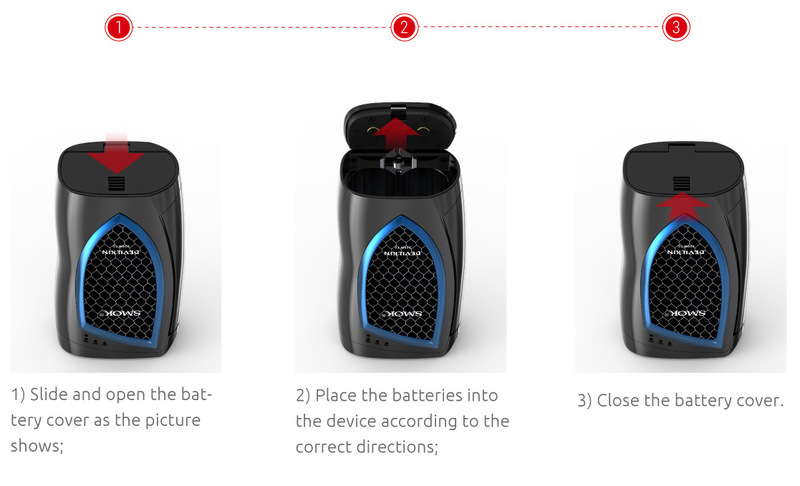 There’s no need to change batteries frequently, the mod can be recharged via the Micro-USB port. 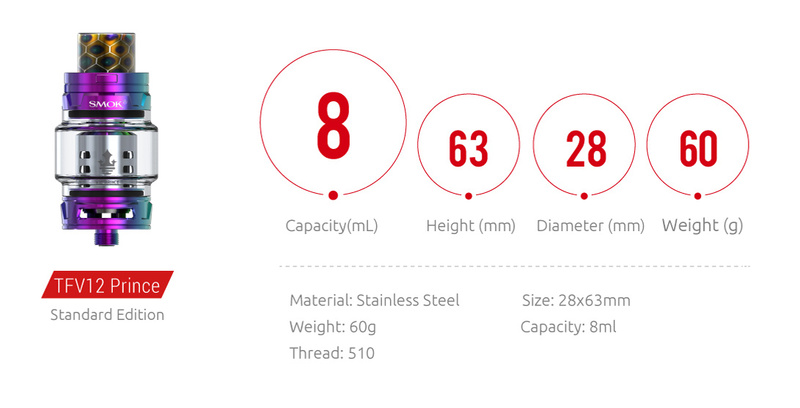 Devilkin provides multiple types of protections to avoid potential risks.